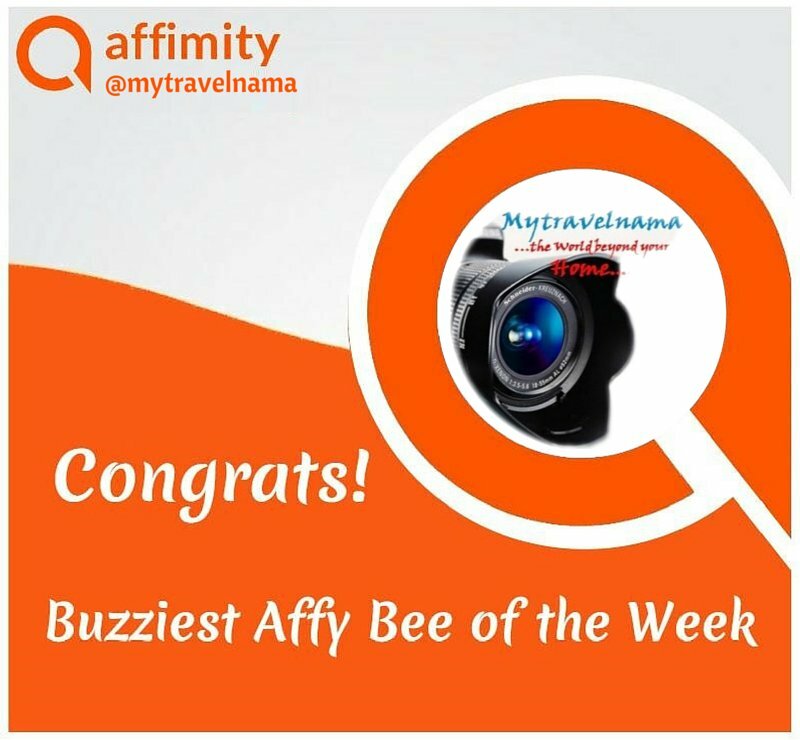 In earlier issues of mytravelnama, we had presented you some amazing facts and figures including pictures of Fatehpur Sikri depicting the pinnacle of administrative and spiritual glory of the Mughal empire during the reign of Akbar the Great. Well, in the new year, let us have a long journey to the great emperor’s Royal Court. 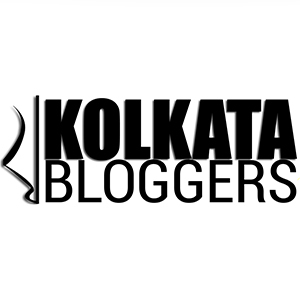 We take you all straight to the emperor’s “Daulat Khana”. 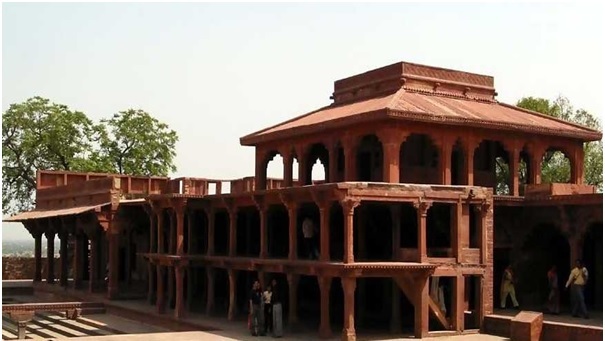 Daulat Khana refers to the imperial complex at Fatehpur Sikri meant for political, economic, financial and administrative affairs of the Mughal Court. The arrangement of the offices in the entire Daulat Khana complex is surprisingly similar to the office of a prime minister in modern times. The term Daulat Khana means ‘Abode of Fortune’. The complex consists of The Pachisi Courtyard, Ankh Micholi or the Royal Treasury (along with the astrologers’ seat), Diwan-i-Khas, Turkish Sultana Palace, Anup Talab, the Diwan Khana-i-Khas and the Khwabgah or the emperor’s royal sleeping chamber. Pachisi Courtyard is a large paved courtyard resembling the designs in a gigantic chess board. The Pachisi game is played on a black and white chequered board with mohras or chess pieces. Akbar innovated a unique way to enjoy this game with his royal ladies, ministers and other Mughal nobles. He designed the centre of the courtyard in front of the Diwan-i-Am in the form of giant chequered board using black and white marbles. Instead of chess pieces or mohras he used attendants attired in bright dresses to pose as the chess pieces. 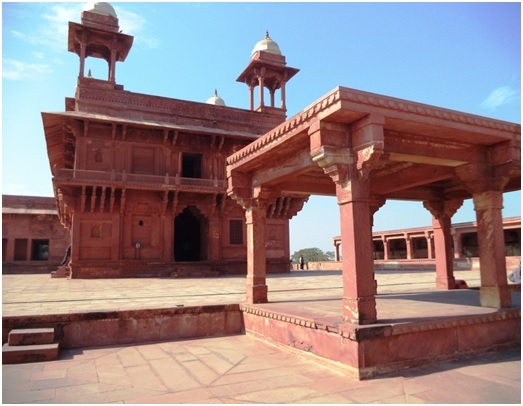 Ankh Micholi is a beautiful red sandstone mansion, where emperor Akbar probably played hide and seek with his queens and the ladies of the royal harem. Historians are of the opinion that this mansion was probably used as the royal treasury. The Ankh Micholi mansion comprises of three rooms. The front part of the complex reveals a small hall opened on all sides, containing richly carved pillars, textured walls and exquisitely designed arches. These arches or struts reveal the use of Jain architectural designs of Gujarat which the emperor might have used after his conquests in Western India. It is believed that this room was meant for the chief treasurer and his officers for managing various financial activities of the royal court. The other two rooms were probably used as vault-rooms for the royal treasury. We overheard a guide claiming that emperor Akbar used to come here for consulting his royal astrologers for taking political, administrative decisions and discussing personal matters. This is why the mansion is also known by many as the “Astrologers Seat”. All of us were excited that we were about to see Diwan-i-Khas, perhaps the most important mansion at Fatehpur Sikri in terms of historical and political importance. The Diwan-i-Khas or the ‘Hall of Private Audience’ is located in the north-eastern corner of the courtyard area of the Daulat Khana. This mansion is sometimes also referred to as the ‘Jewel House’. We were astonished to find that this two storeyed red sandstone mansion showed predominance of Hindu architectural designs over Persian design elements. 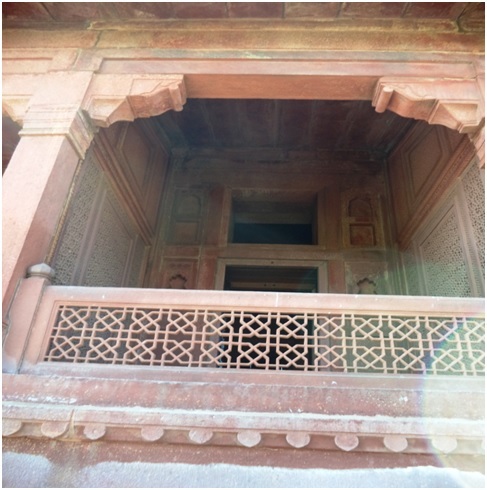 It housed two windows covered by Jaalika screens located on either sides of the southern entrance from the Pachisi Courtyard. The first floor repeated a similar look as observed in the ground floor. The first floor apartments were surrounded by a narrow balcony bordered by jaalika walls. The roof contained triangular khaprel rainsheds and bordered by beautifully decorated paraphets. 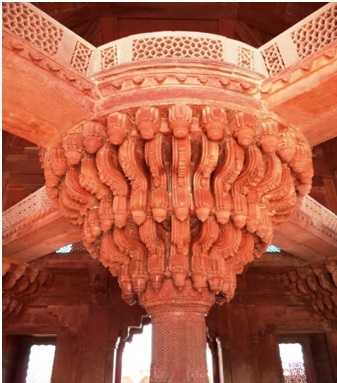 The four corners of the roof contained four red sandstone chattris topped by white marble chhaparkhats. To our surprise the interior of Diwan-i-Khas could be entered by four doorways located on the four sides of the mansion. It was a thrilling experience to feel that Akbar, used this special court for taking important administrative, political and socio-economic decisions. The four entrances led to a large hall containing the famous central pillar, the top of which used to be the emperor’s royal seat for hearing the proceedings in his special court. The pillar has a square base protruding into an octagonal shaft. 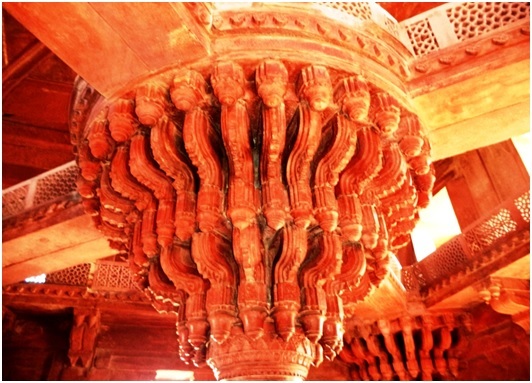 The walls of the pillar contain bands of geometric and floral designs sculptured over red sandstone base. The apex of the pillar supports thirty-six exquisitely sculptured serpentine brackets holding the circular royal seating platform for the emperor. The royal seat is connected to each corner of the galleries located on the first floor by four stone passage-ways . 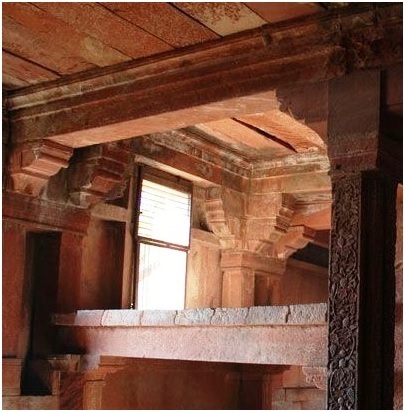 The emperor’s seat as well as the four passages leading from it is bordered by red sandstone Jaalika railings. Diwan-i-Am or Hall of Public Audience, is the royal durbar or court where emperor Akbar used to address his court proceedings for the public in general. The complex consists of an elevated pavilion harboring the royal throne from which the emperor used to take important decisions related to law and order, military & political issues and carried out routine day to day administrative functions of his court. The red sandstone royal pavilion consists of a beautiful stone tiled roof and exquisitely carved friezes. The emperor was very strict on his principles regarding law & order and justice. It is said that Akbar gave orders to his commanders to tie an elephant with a large stone ring near the Diwan-i-Am Court in readiness to trample any outlaw who had broken the law & order of the state. Although there was hardly any incidence of such brutal punishment, the initiative was probably taken by the emperor to bring in an ambience of discipline, law and order in his court. The large open space in front of the royal platform was meant for the public audience which included citizens/residents, villagers, and traders etc from various parts of the empire and visitors/travellers from different countries and far-off places. It is said that emperor Akbar used to address the public at Diwan-i-Am in the morning. Keeping this in mind, the royal pavilion for the emperor was made facing the eastward direction. Akbar used to be seated on his throne in the central chamber of the royal pavilion at Diwan-i-Am. His chamber was adjoined by other smaller chambers covered by Jaalika works, which were probably used by the queens Ruqaiyya Begum, Salima Sultana & Jodha Begum and important royal ladies like Hamida Begum (Maryam Makani) and Gulbadan Begum. The long pillared hallways or porticos adjoining the royal pavilion were used by the ministers and officers of the royal court. The beautiful one storeyed red sandstone mansion located to the south-west of the Diwan-i-Am is known as the Turkish Sultana House. The mansion was probably used by the two important queens of emperor Akbar, namely, Ruqaiyya Begum and Salima Sultana Begum. But the question might arise why the residence of such important queens would have been located so far away from the royal harem? Was there any trouble between Akbar’s Hindu queen Jodha and Ruqaiyya Begum? These issues remain unexplored and require strong historical evidence. The Turkish Sultana palace displays exquisite Persian architectural designs in the layout of the pillars, arches, and doorways. The mansion contains a large pillared hall which was probably covered on all sides by long curtains, a feature commonly used by the Mughals to decorate their palaces. 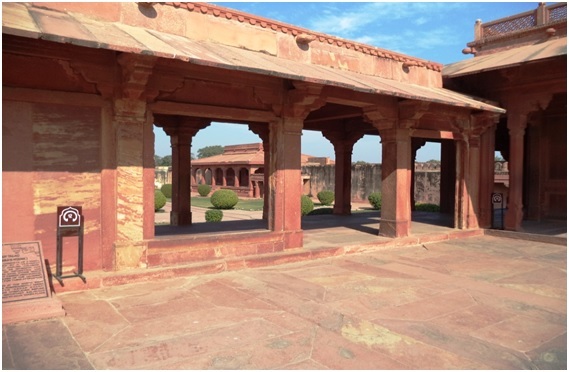 Like other royal mansions in the Fatehpur Sikri Fort, the roofs of this mansion contain triangular khaprel rainsheds which are bordered by beautifully decorated paraphets (railings). The interior of the palace shows beautiful carved panels which are the hallmarks of Persian architectural styles. The walls contain plenty of arabesque motifs featuring pomegranates and lotuses on the columns. Anup Talab is an artificial 29m square pool created in the courtyard located to the north-east of Diwan Khana-i-Khas. The pool is surrounded by the Turkish Sultana’s Mansion in the extreme north-east and the Panch Mahal in the north-west. The centre of the pool contains a red sandstone plinth bordered by exquisite jaalika railings and housing the elevated royal seat for the emperor at its centre. It is connected with the four sides of the pool by four slab-like bridges or causeways leading to the royal seat. It is said that the talab was filled with scented water and the emperor Akbar used to witness live performances of music, dance, drama and other artistic entertainments from his royal seat at the centre of the pool. The ambience was just like a modern open air opera or amphitheatre. His ministers, nobles and other dignitaries would have also watched these programs by taking their pool-side seats. The emperor might have even held lively discussions with the members of his “Nava Ratna” (Nine Gems) nobles from his royal seat at the Anup Talab. Perhaps the music of the great Tansen would have mesmerized the audience with the heavenly ‘Megha-Mallar Raaga’. What an out-of-the-world aura it would have been with Tansen’s god gifted enchanting music. Legend says that Tansen’s music was so mesmerizing that it even brought showers from the passing clouds. Now in the present day, it is impossible for us to say what happened during Tansen and Akbar’s time. 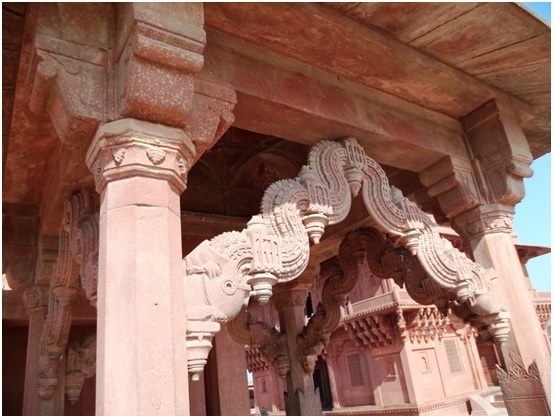 Perhaps the secret is well hidden in the red sandstone walls of Fatehpur Sikri. 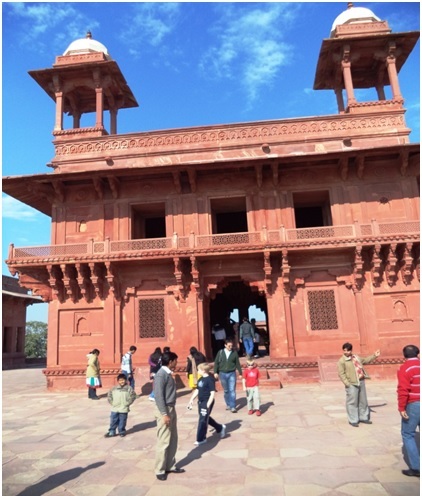 But perhaps it was the magic of Fatehpur Sikri which had made us feel the aura of the bygone golden era. The imperial palace complex served as Akbar’s royal resting chamber as well as an important office for consulting private and urgent affairs. This palace complex consists of a series of mansions which can be distinctively identified as the ‘Diwan Khana-i-Khas’ and the ‘Khawbgah’. Diwan Khana-i-Khas is a two-chambered pavilion located at the extreme left of the imperial palace complex. 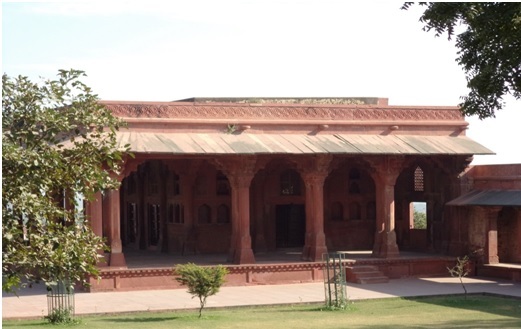 This palace acted as the private office of Akbar which was used for consultation with his ministers and senior court officers. The eastern part of the pavilion shows faded remains of paintings and floral designs on the walls. This palace was probably also used for storing important official documents and books that the emperor asked his learned men to read out for him. The rooms in this complex are decorated with intricately carved stone screens, elaborate brackets, broad attic and beautifully carved columns. 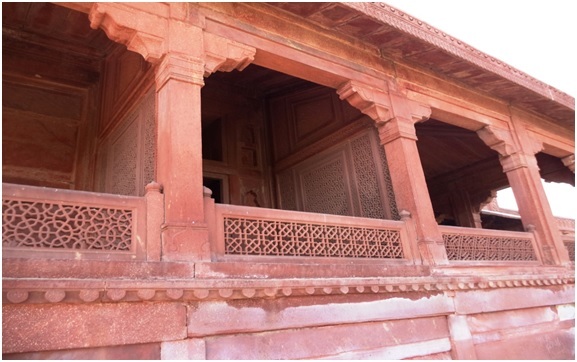 One of the most remarkable features of the Diwan Khana-i-Khas is the famous platform or royal seat on which Akbar used to take seat for discussing private and official affairs with his ministers and advisors. 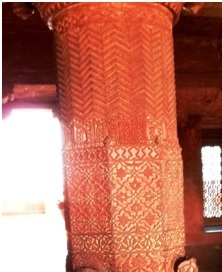 Beside the royal seat, one can also find the exquisitely carved red sandstone pillar containing floral designs.The entire pavilion shows features of Mughal air conditioning with water-filled channels running through the rooms under the floors which provided cooling effects during the hot summer months. Akbar used to show himself to his subjects (Jharokha Darshan) every morning by standing in front of the window on the southern wall of the larger room in the Diwan Khana-i-Khas. This unique practice was a typical Mughal tradition used by Akbar’s father Humayun and later on by Akbar’s descendants. Akbar’s personal library known as the ‘Kutub Khana’ is also located in this imperial palace complex. It contained the collection of books and important chronicles which were favourite to the emperor. In his leisure time, the emperor used to listen to the readings of these texts and documents from his learned scholars. Khwabgah, the royal sleeping chamber (also known as the Khilwatkada-i-Khas) of the emperor is located on the first floor of Diwan Khana-i-Khas. The Khwabgah is square in shape and is surrounded by a pillared veranda. It is said that this chamber was connected with the Royal harem by and the Panch Mahal by a covered passage, which can be now seen partially. After a hard day’s work at his office the emperor used to relax in his private chamber. 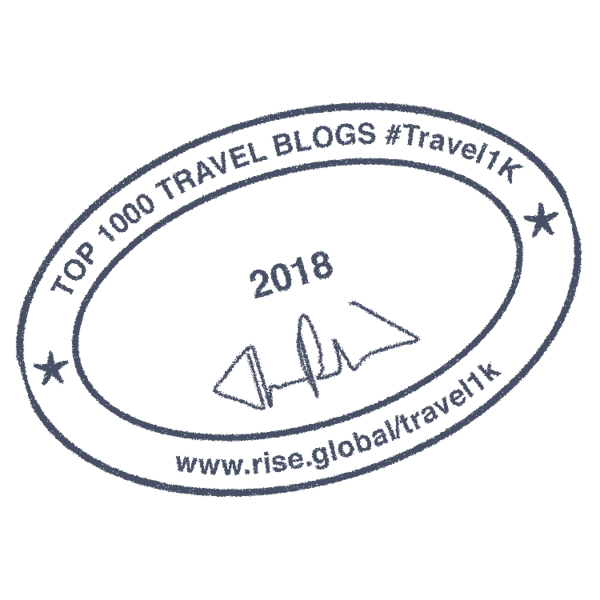 It is said that apart from Akbar’s queens, selected ladies from the royal harem, Abul Fazl, Birbal, Sufi Saints and the Royal Philosophers, very few people had any permission to enter his room. Daftar Khana or the office of records lies to the south of the Khwabgah. Both these buildings are separated by a beautiful garden containing shady neem and mango trees. The single storeyed mansion is unique in the use of Indian architectural structure and designs. One interesting feature seen in this mansion is the use of double pillars in the verandah containing carved brackets located at their interface with the roof. The walls of the mansion contain several racks that were most probably used for holding deepams or lamps. The roof of this mansion is flat and terraced by beautifully carved paraphets. The remains of Fatehpur Sikri are the flag bearers of one of the very few greatest achievements ever created by man. The red standstone marvels at this monumental historical site bathed red in the twilight was the proud, melancholic symbolization of humanity’s achievements left alone in the passage of time.